Rain Wild Chronicles by Robin Hobb. The woman is a genius, plain and simple. Nobody else is capable of writing characters who are so real, yet so likable, Nobody else is even in her league. While these aren't my favorite novels of hers, they're damn good. Interesting Times by Terry Pratchett. I've really enjoyed all the books in his Discworld series so far. Just finished Brandon Sanderson's Words of Radiance. It might be his best book ever, and that's a significant compliment. Fahrenheit 451 for my Sci-Fi/Fantasy class. I honestly don't like it that much. Reading Patrick Rothfuss's The Wise Man's Fear. It's not bad, though I think his work is overrated. 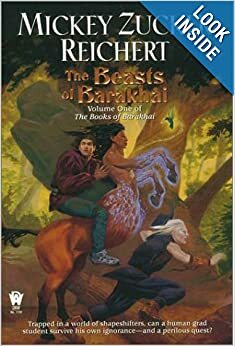 It's primarily a character-driven story, and while Kvothe is sympathetic enough, he's not really an interesting enough character to carry a story like this. The plot isn't bad, but it lacks focus.